Obereggerhof lies in the middle of the picturesque Gitschberg-Jochtal holiday area at 1,100 meters (approx. 3,600 ft). Nestled between the Pfunderer mountains and forests, the Gasser Family farm offers a relaxing vacation on the farm in South Tyrol. There are four cozy vacation apartments available to families and couples with plenty of open space and comfort. The apartments are furnished with warm wooden furniture and balconies. The many animals on the farm make children's dreams come true. In addition to the barn, woods and meadows, there is a large garden, an enchanting playground and playrooms for romping and discovering. The vacation on the farm in South Tyrol offers a holiday experience close to nature – allowing the whole family to return to every day life fully rested. 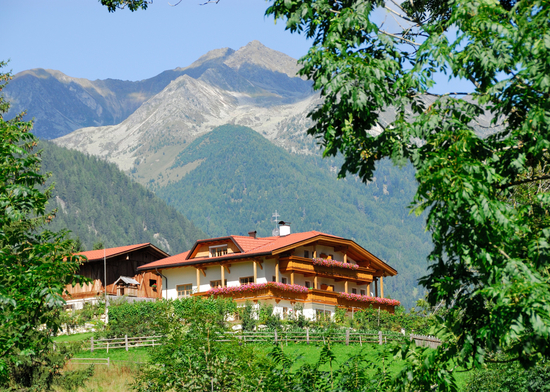 The Gasser Family is looking forward to your visit to Obereggerhof – your farm in South Tyrol.